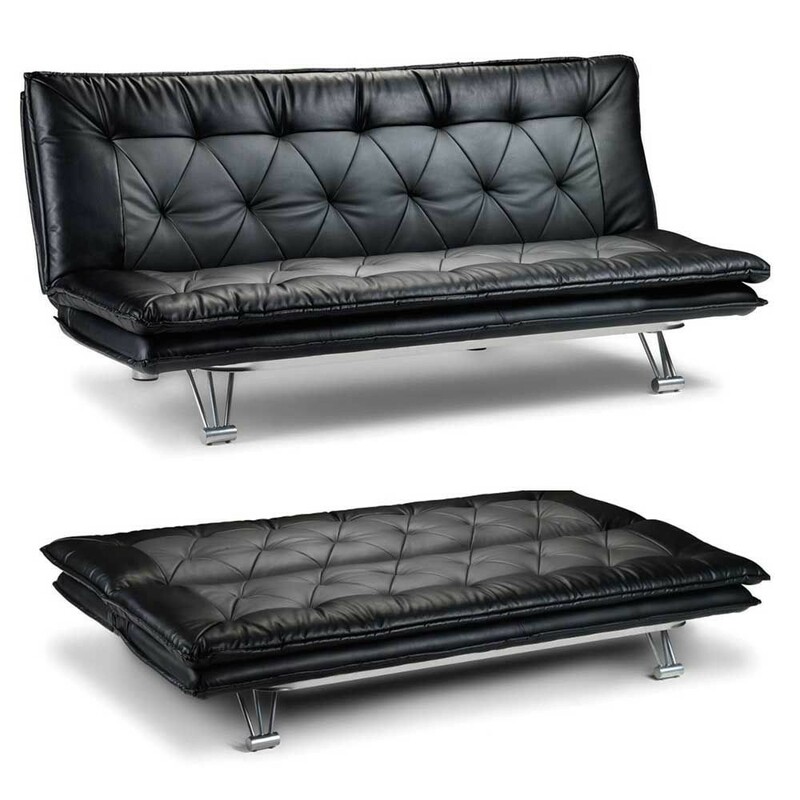 Luxurious black and grey soft touch faux leather upholstery creates a sumptuous and comfortable sofa bed.Metal legs add to the modern appeal of this sturdy design.In Stock For Free Express Delivery. Simple clik-clak mechanism changes this stylish sofa into a handy spare bed for your visitors. Easily transforms into a spare bed.